Kentucky does not certify specialties in legal fields. 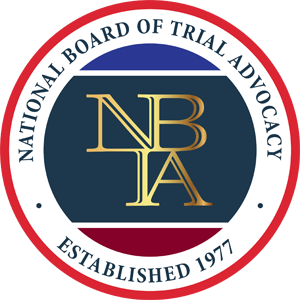 Mr. Neal is a board ceritfied specialist in civil pretrial and litigation. He is licensed in Kentucky and Florida. He is an approved arbitrator and ceritfied appellate and civil mediator in Florida. He is an approved mediator with the Kentucky Court of Justice. He has secured substantial verdicts and settlements for his clients and is a member of the Million Dollars Advocates. He is a past president of the Kentucky Justice Association, and a past Board member of the Association for American Justice. He serves on the Supreme Court of Kentucky civil rules committee. Mr. Neal is recognized by Super Lawyers in personal injury and business litigation. He was listed in Best Lawyers and is listed in the Top 100 trial lawyers by the National Trial Lawyers, serving as the state representative for Kentucky.